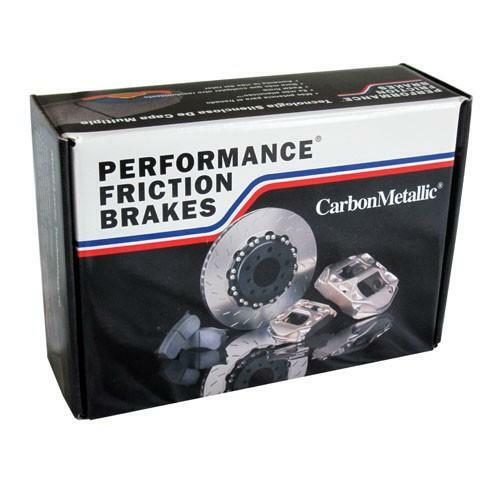 PFC08 Race Pads for Race Caliper Fitments - Brakeswap.com - Friction for the Win! 08 compound is one of PFC newest and have gained immediate favor in Endurance Sportscar, and GT racing due to its performance in applications where smooth initial bite is a must. 08 have a slight friction rise with temperature, excellent release and modulation characteristics, and very low abraded disc wear. In addition to its considerable performance, 08 wears the longest of all PFC pads and easily matches wear of the other competitors with much higher bite. Limited application availability.